The Palais des congrès de Montréal and the Institut de recherche Robert-Sauvé en santé et en sécurité du travail (IRSST) have partnered to promote occupational health and safety research and attract major national and international conventions to Montréal. This new partnership is in keeping with the Palais des congrès de Montréal’s ongoing drive to build strategic alliances, and it will help boost tourism revenues and intellectual wealth for the city and Québec. Raymond Larivée, president and CEO of the Palais des congrès de Montréal said: "Montréal hosts more international events than any other city in the Americas, and the health sciences are no stranger to this enviable position we enjoy worldwide. The Palais, the city, our Ambassadors Club and our partners work closely hand-in-hand to attract major conventions for Montréal, events that help create a wealth of knowledge scientists from here and abroad can share." In the 2015-2016 financial year, the Palais des congrès de Montréal hosted 24 national and international events related to healthcare and the life sciences, among the city’s most active industry sectors. 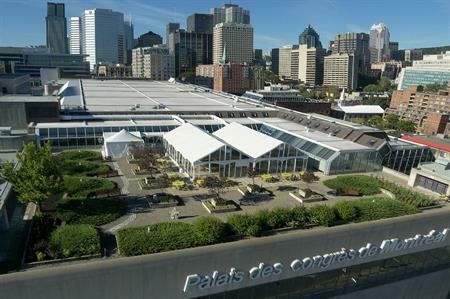 These conventions, exhibitions and meetings generated over $70 million in tourism revenues, and attracted 31,000 convention-goers to Montréal. One of the leading OHS research centres in Canada, the IRSST actively contributes to preventing work-related accidents and illnesses while also fostering worker rehabilitation. The team is made up of scientific personnel spanning researchers and professionals hailing from various disciplines such as ergonomic intervention, chemistry, sociology, engineering, demography, industrial hygiene and psychology.